And you know what? They’re right. 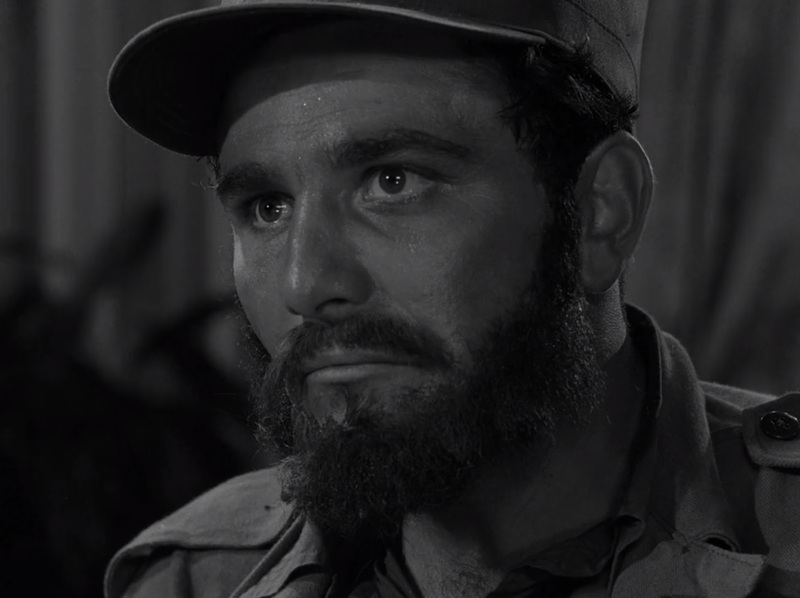 But when we look at how Serling handled politics on TZ, we see a window into why he was so clever, and why the show’s popularity endures to this day. Part of the genius of The Twilight Zone — why we’re even discussing it decades later — was that it took moral stances, but put them in the form of modern fables. As a result, it appeals not to a narrow audience, but to a wide swath of people. I see this reflected in the many different types who follow my Twitter page. They come from all across the political spectrum, yet they’re united in their love of one remarkable television show. 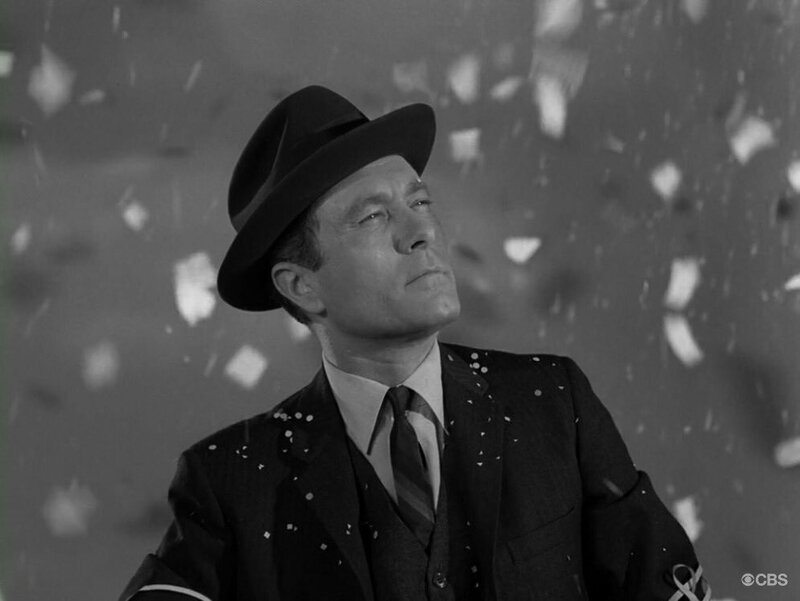 I don’t think that would be true if Serling had made it about the people, places and things that populated the big news items of the late 1950s and early 1960s. Imagine if he had written stories about Dwight Eisenhower, Barry Goldwater, Richard Nixon, and Gary Powers. That may have been interesting when it first aired, but it also would have caused the series to age very quickly. On a couple of occasions, he did skate very close to making the show directly about a particular individual who was then in the news. In “The Whole Truth”, for example, the used-car dealer unloads the cursed jalopy onto Soviet premier Nikita Khrushchev. In “The Mirror”, he chronicles the rise and fall of a dictator who looks like Cuba’s Fidel Castro. He even says at the end, “Any resemblance to tyrants living or dead is hardly coincidental”. It’s also, I believe, no coincidence that these episodes aren’t very popular with many fans. 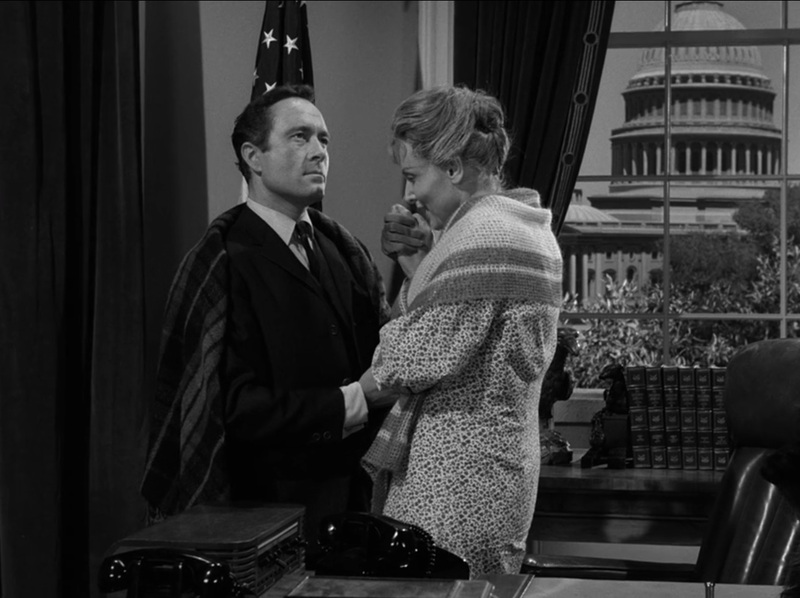 Serling had bent one of his cardinal rules, and the resulting episodes fell short of the show’s usual excellence. Yes, his decision was a practical one. He was reacting to network edicts that he obviously chafed under. But in the end, I think they helped him. Think about it: A direct assault on a particular person or stance rarely succeeds. People’s defenses go up. They don’t listen. But if you cast your lesson in a story that takes place in a fantasy setting, you’re free to make your point in a way that flies under the radar screen. Sure, some people still won’t listen. But others who might have otherwise tuned you out will. Take “The Shelter”. Not one word is spoken of who’s in charge or what their positions are. We just see ordinary people in an ordinary neighborhood reacting to an extraordinary situation. Yet few could fail to connect the dots and realize that a policy of Mutually Assured Destruction is, well, to use its acronym, mad. The same goes for many other episodes, from “The Obsolete Man” to “Eye of the Beholder”. Serling often spoke of the fact that people would respond positively when presented with intelligent entertainment. And by imparting moral precepts in an enjoyable way, the series proved that time and time again. Thanks to this formula, Serling was able to tell the truth repeatedly over the course of TZ’s 156-episode run. And he didn’t even need a haunted car to do it. Posted on 02/28/2019, in Twilight Zone and tagged Rod Serling, Twilight Zone. Bookmark the permalink. 11 Comments. It’s interesting to see these debates/arguments when they pop-up, Paul. People insist on judging this show i light of today’s issues and today’s politics. What you have described here is what makes the show timeless. 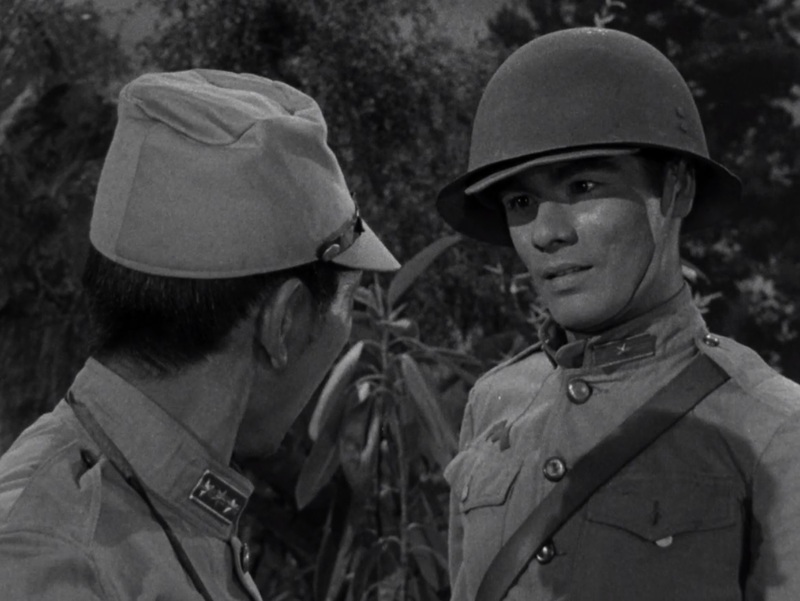 In 20 years, people will argue that Serling is a “whatever we have in 20 years” but the show won’t have changed, and the lessons will still be valuable. Exactly. 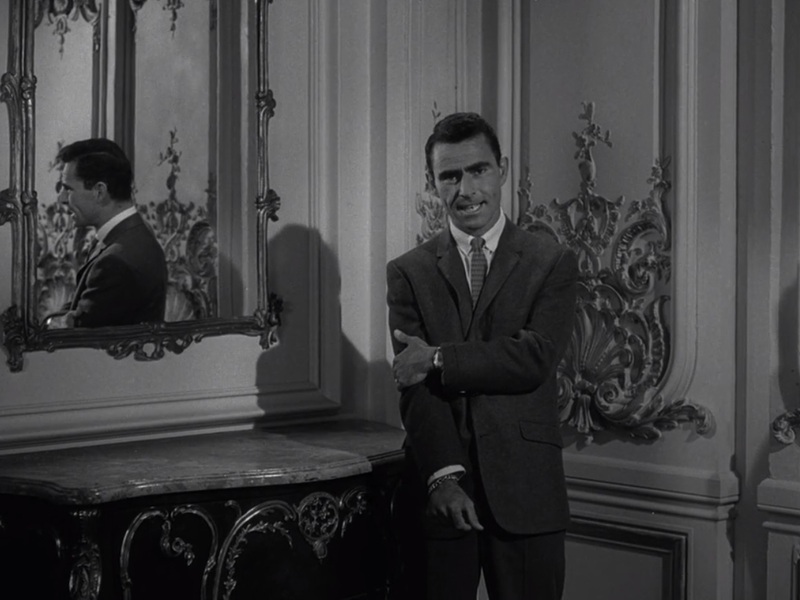 Had TZ been filled with topical references, I doubt we’d have so many people telling me how prescient Serling was. Instead, we have a show that has lasted for decades and shows no sign of stopping. I do, however, think people ought to be free to share their partisan contemporary social and political interpretations regarding TZ online. For me the problem is not in the sharing of different interpretations on the same themes, but in the way they do it. We need to mightily encourage symbolic approaches in these days of S.T.E.M. education; but we also need to teach people literary etiquette and consideration for differing opinions. But when the vast majority of American journalists and university educators violate these criteria, where do we learn it? Great quote from Lewis, Michael. So appropriate for this topic. Thanks for sharing that. As for your second point, I have no problem with people sharing partisan interpretations about the show. In fact, the way the show avoided partisan references makes it easy for it to be adopted by a wide array of people! As usual for here, well written and presented. Your description of Serling’s tactics in dealing with “current issues” of his time is similar to the one I’ve fallen into myself in my current Project. I want listeners/readers to see and think, not simply cheer or boo. There are times I feel I’m avoiding necessary plain speech, or even “chickening out,” but there are enough others to provide that advocacy element of our discourse that I don’t feel I must. Interesting that you mention “The Mirror,” a personal favorite of mine. My view was that it’s as much about Castro as Shakespeare’s Richard II is about the start of the War of the Roses. Its point is to a considerable degree is its timelessness, regardless of the modern dress used for that episode. On the other hand, I often view the Twilight Zone as being a work firmly of that invisible decade from about 1954-1964. It’s not exactly the “Fifties” as it’s often framed, and it certainly isn’t the “Sixties” as we have filed it away in shorthand. Unlike the Thirties or the Forties (or to some degree, today), this era liked and admired “big thinkers” dealing with what were thought to universal themes as opposed to individual issues and grievances. I rather like that element in TZ, revisiting that zeitgeist which even if it has its blind spots and weaknesses, gives one a different frame to view things. Good points, Frank. Serling was definitely talented at getting his audience to see and think, not merely cheer or boo. In many of his writings, both before, during and after TZ, he showed a remarkable ability to consider different points of view, and to show us everything — warts and all. He really had a unique and wonderful gift. Great post, Paul (as they all are). I was on a podcast a few summers ago talking about the relevance of “The Monsters Are Due On Maple Street” to today’s political landscape. It’s certainly to Serling’s credit that he adopted his “timeless” formula… and to our shame that his moral warnings are still just as applicable to society as they were 50 years ago. Truly, the more things change…! I hope the new “Zone” on CBS All Access will take the original series’ moral vision seriously and present it in a similarly “timeless” fashion. I couldn’t agree more, Mike. I think we’re in good hands with JP. Hard to wait for the finished product! I’m really looking forward to it. As you and other readers stated, this show is timeless because the majority of episodes didn’t focus on current events. They weren’t spouting “Orange man bad” or “Liberals are looney” type rhetoric or forcing agendas in every episode. I think current show writers should take a lesson from that. To me, the stories of the Twilight Zone are morality tales that make appraisals of human nature and our core beliefs. They display humanity’s inherent goodness and badness through science fiction and fantasy. Some are just ‘slice of life’ tales with a supernatural twist. These tales will always resonant with people no matter how old the show is. It’s hard to believe it’s will be 60 years old but fans still go on about it like it’s new, and artists like Jordan Peele are attempting to recreate it. Yes, it’s much better — much more endurable and universal — to focus on timeless lessons and not get distracted by the people and issues of the day. As the saying goes, times change, but people don’t.